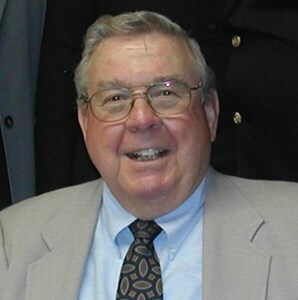 Keith LeRoy Erickson, 86 of Olathe, passed away on November 30, 2018 at the Healthcare resort of Olathe. He was born on January 23, 1932 to Anton and Erdena (Argraves) Erickson near Spencer, Iowa. Keith worked as a Civil Engineer for the Corps of Engineers in Kansas City, Missouri. Retired from the Corps of Engineers in 1995. On February 10, 1957, he married Dorothy Anne (Hill) Erickson In Spencer, Iowa. Keith and Dorothy lived in many states west of the Mississippi River, when Keith was a resident Engineer for AT&T. We had wonderful adventures seeing the world. In 1973, we moved to Olathe, Kansas. Keith was a member of the Christian Church. He served four years in the United States Navy during the Korean War. He enjoyed traveling, golf, taking care of our five acres and being with his family. Keith is survived by his loving wife, Dorothy, Daughter, Teresa Marie Reh, her husband Kirk Reh, 3 brothers, many cousins and nieces and nephews. He was preceded in death by his Mother and Father, 3 sisters and 5 brothers. A celebration of life will be held at a later date in Lake View, Iowa, when the grass is green and the flowers are blooming. New life! Memorials are suggested to the charity of choice. Add your memories to the guest book of Keith Erickson. So sorry to hear of Keith’s passing. I worked with him for the last 10 years of his career. He always kept us on our toes with his dry wit! Condolences to the family. Our family was saddened to hear of Keith's passing. It wasn't but a few months ago he was telling us how "old" he and we were surprised at his age and how great he looked. We could not have asked for a better neighbor than Keith (and Dorothy). Always a wave and a smile.